Today’s guest post is by Jason Kong. You may remember him from an earlier guest post here at JaneFriedman.com: Are You Making This Marketing Mistake? Get that something in front of that someone. Put another way, you need both good writing and good marketing. Many writers see this as two steps. Write first, then worry about marketing once the words are published. The belief is that the writing and marketing processes are distinct. If you think marketing equates to advertising or pitching, then perhaps. Yet if we dissect what makes a piece of writing more likely to reach its intended target, we see a different picture. To explore this further, let’s turn to a writer who is very familiar with success: best-selling author Stephen King. King is mostly known for weaving tales of horror and suspense, but in the late 1990s he wrote a book outside the realm of fiction. On Writing is an autobiography that also shares his approach to his craft. While it’s clear that hard work, talent, and luck all factored into his career, King’s perspectives on writing were also instrumental to his accomplishments. Particularly striking is how many of his principles of good writing align with the principles of good marketing. As a writer, you already know that appealing to everyone will result in appealing to no one. The same reasoning applies to marketing, which is sometimes known as a niche approach. Targeting narrowly provides a more remarkable experience for the people that matter, which makes it more likely they’ll recommend your writing to someone else. One technique is to visualize a single ideal reader, which for King is his wife Tabitha. Your archetype may be a friend, a teenager who like vampires, or women dealing with breast cancer. Whether the person actually exists or not is less important than the clarity of what the individual is like. Picture an ideal reader in your mind, and write just to that person. King knows that as more people love his work, more will also despise it. If you’re a writer that stands for something, you’ll also elicit passion from both sides of the fence. It’s a package deal that you should gladly accept. Don’t let the critics stop you. Instead, focus on your fans and your writing will reach and delight the right people. Do you understand why you write? It’s not selfish to want results from what you do—you have to earn a living after all. But ego-driven rewards can overshadow some of the more fulfilling aspects of your work. Marketing, like writing, works really well when you create value for others. When you make someone’s life significantly better, that’s an experience that ends up getting shared with others. There’s no better marketing than that. Good marketing isn’t something that’s slapped on once the writing is done. It’s not something that should simply be delegated to publishers, advertisers, or PR specialists. That’s because your best marketing comes from the writing itself. You have to create something others love in the first place. Stephen King built a successful career on this concept. Will you? Posted in Guest Post, Marketing & Promotion and tagged Stephen King. Jason Kong (@storyrally) helps fiction writers build better platforms. Sign up for his free newsletter here. I never really considered the flip side of Mr. King’s book as it related in to marketing like this. This makes me rethink that and I will have to go re-read his book again! I second what James Horton said. I just finished reading On Writing this past summer and never thought of King’s advice in terms of marketing, but what Jason wrote makes perfect sense. I’d heard similar takes on the ideas before, but it bears repeating because obviously I keep forgetting. Thanks! I liked your realization that as you please more and more people, you will also increase the number of displeased folks. It gives more freedom in writing to take that attitude. Well said, it’s an amazingly simple formula to have success in writing. It’s all about word of mouth and that does indeed just have the two requirements. The rub of course is that most people, no matter how hard they try, can produce a book that people love so much that they tell everyone and their brother that they “have” to read this. I really enjoyed reading this. 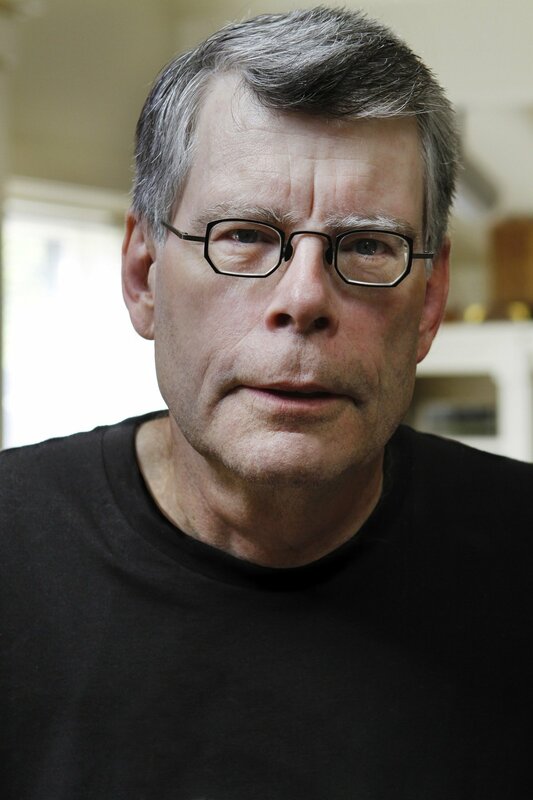 Stephen King is one of my all-time favorite authors. I am in the process of trying to get my book published and marketed and this was just good basic marketing advice that is right on. Thanks for reminding me that I write because I love to and as long as I keep doing that, I will have readers that will enjoy it. King certainly knows his stuff, has a thick skin, and is completely down to earth. Wish I had him as a mentor. Point 2 is the one that stays with me. Strong work is marked by a strong flavor, and a strong aftertaste. My goal as a writer is to reduce the proportion of middle-of-the-road reactions, and so to broaden not only the proportion of readers who love my work, but the proportion who hate it as well. Both the secret and the goal of ‘marketing’ is to get the work in the hands of those more likely to love than to hate it. It’s that simple, like any number of things that require serious work. Well put, and I totally agree with your marketing take. 12 quotes about reading to inspire writers - Socially Savvy! Can’t disagree with any of that. It’s the doing thst’s the problem. Ihave King’s book too and it’s a great inspirational read when I feel a tad weary of writing.